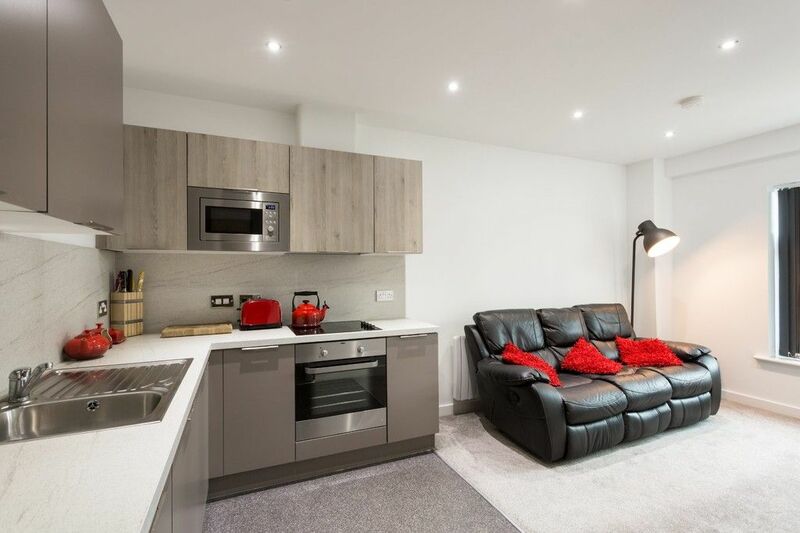 Located within the recently renovated development of Foss Place, this stylish, one bedroom apartment offers a perfect base within the city centre. Tucked away off Foss Island&apos;s Road, the ground floor apartment is accessed via secure gates and code accessed front door. 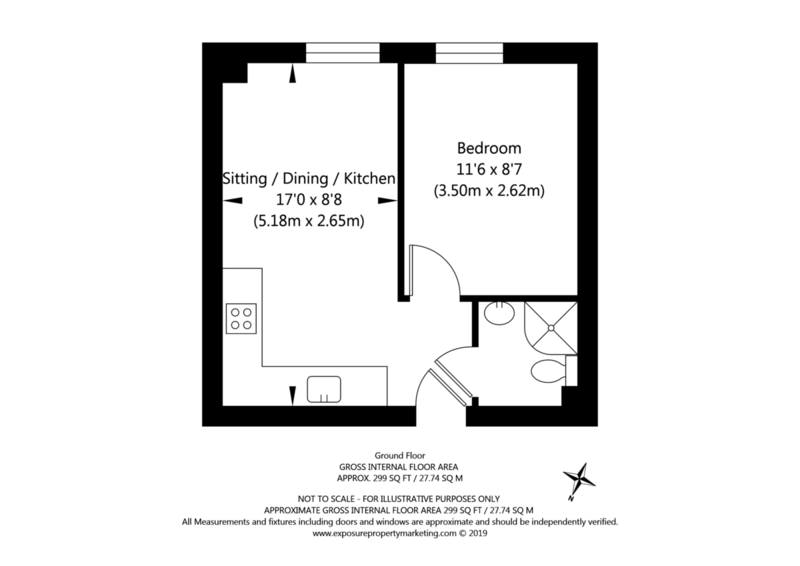 The apartment can be found through an additional fire door, towards the rear of the ground floor. Individual post-boxes can be found in the entrance hall and the common areas of the development are well presented and maintained. On entering, the kitchen and living area open up to provide a bright and airy, social space. The kitchen is fitted with modern and stylish wall and base units in a combination of matt grey and timber effect grey which complement each other perfectly, alongside the contrasting work tops. Integral appliances include a Zanussi electric oven and hob with pull out extractor hood over, microwave, under counter fridge freezer and washing machine. A vinyl floor distinguishes the kitchen from the reception area. The living area offers ample space for furniture and a large window allows for plenty of light. An electric heater is fitted to the wall and spotlights to the ceiling are in keeping with the modern appearance of the apartment. From the front door, and to the side of the kitchen, two further doors lead you to the bedroom and shower room. The double bedroom is fitted with mirrored wardrobes and, like the lounge, a large, modern black window allows for plenty of light. The shower room is fitted with a modern, white three piece suite comprising; low level WC, pedestal hand basin and corner shower unit. Neutral tiling, heated towel rail, shelving for storage and a mirrored cabinet complete the room. The apartment is ideal for a professional seeking easy access to the beautiful city of York on a daily basis and the Railway Station, just one mile away. Alongside the many amenities of the city, the property is conveniently located close to Waitrose and Morrisons and the further amenities of Foss Islands Retail Park. Riverside walks and the historic city walls are just a stone&apos;s throw away and public transport links to out of town retail parks and beyond are a short walk from the property.